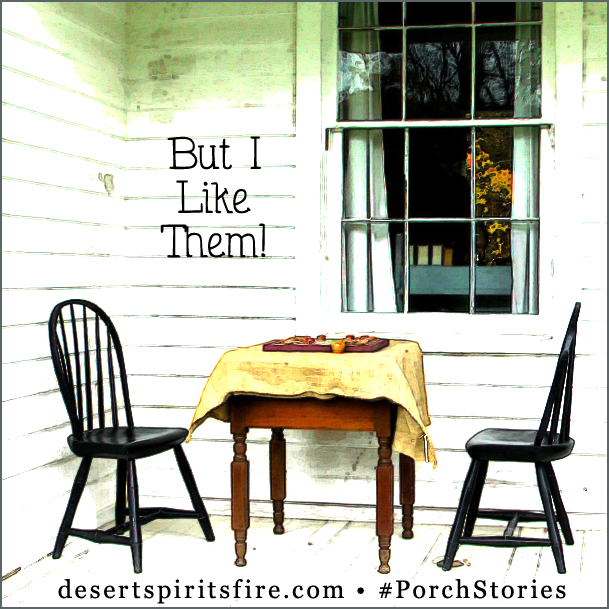 Porch Stories host Kristin writes a long one about her daughter Rachel wanting to do, wanting to get almost everything that occurs to her because... "but I like it!". 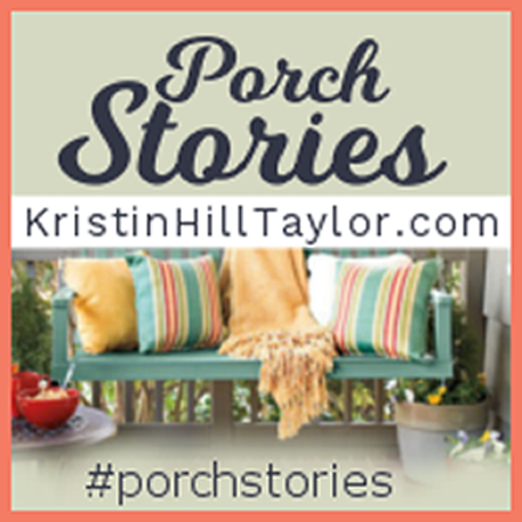 As Kristin explains, our self-willed impulses generally even out as we grow older, closer to God, and seek to align our actions with what's best for everyone. 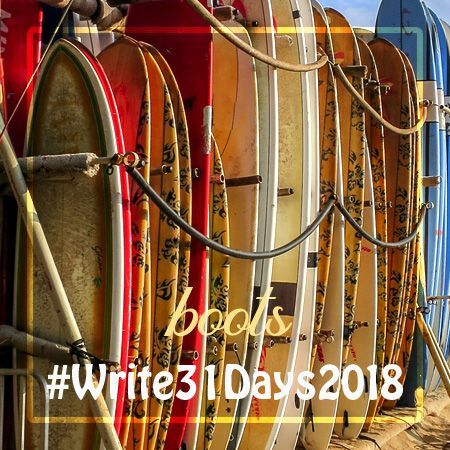 When I chose my daily prompt from the lists Crystal provided, it had to be boots for today! Though at times I've enjoyed shorter and taller ones, most days I wear one of my pairs of what they (actually!) call combat boots. They look fun and urban with most skirts, pants, and dresses; they even go okay with shorts, though if I won't be walking much, usually when I wear shorts I rock sandals—either flip-flops or huaraches. In a cityside stroll, boots support my ankles better than tennis shoes/sneakers. Despite the firmness plus the comfort they provide, I don't wear boots because I like them!, but I've discovered a lot of other people really like my boots, so I want to wear boots because other people like them! Yay! I can't count the times people on the street, at an event or meeting venue, on the subway, in the park have complimented me because they like my boots! On the other side of likes and preferences, I'm currently highly stressed and very distressed; I need to figure out how to regain my life, which means daring not to do optional things I'd rather not do if and/or when they're not essential to my economic or practical survival or that of others. 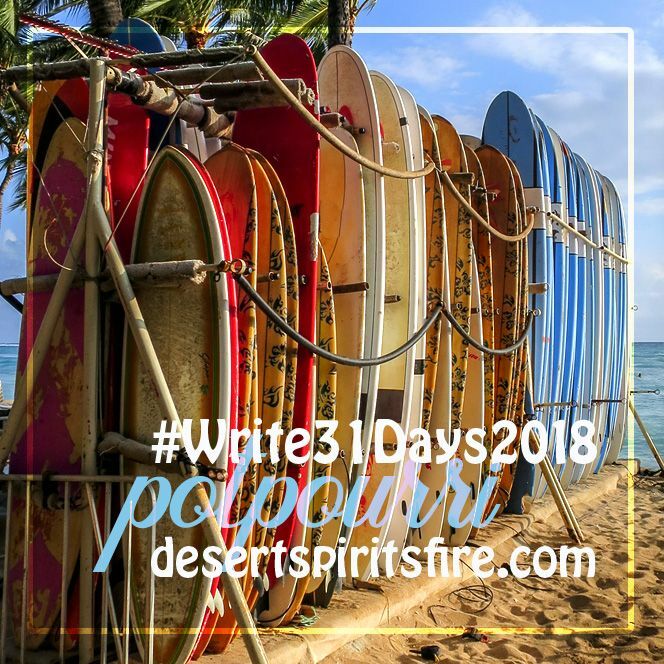 This year's Write31Days is an example... unlike last year's Celebrating Place I'd wanted to do almost forever, I had no series topic in mind. Unlike the previous year of five minute free writes, I had no impulsive desire to illustrate every post. But I like boots, so I'm writing about them for this day 10.